The James Bond series focuses on a fictional character created in 1953 by writer Ian Fleming, who featured him in twelve novels and two short-story collections. Since Fleming's death in 1964 seven other authors have written authorised Bond novels or novelizations: Kingsley Amis, Christopher Wood, John Gardner, Raymond Benson, Sebastian Faulks, Jeffery Deaver and William Boyd. Additionally, Charlie Higson wrote a series on a young James Bond, and Kate Westbrook wrote three novels based on the diaries of a recurring series character, Moneypenny. The fictional British Secret Service agent has also been adapted for television, radio, comic strip, video games and film. 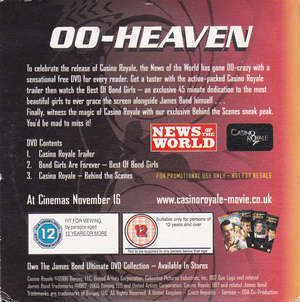 The films are the longest continually running and the second-highest grossing film series to date, which started in 1962 with Dr. No, starring Sean Connery as Bond. As of 2014, there have been twenty-three films in the Eon Productions series. 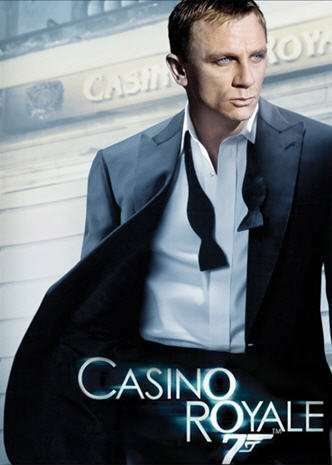 The most recent Bond film, Skyfall (2012), stars Daniel Craig in his third portrayal of Bond; he is the sixth actor to play Bond in the Eon series. 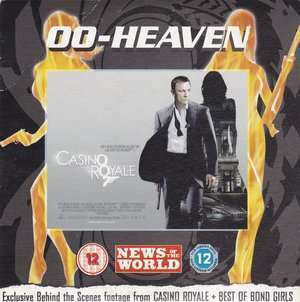 There have also been two independent productions of Bond films: Casino Royale (a 1967 spoof) and Never Say Never Again (a 1983 remake of an earlier Eon-produced film, Thunderball) (Source: Wikipedia.org) The fixed price for this collector's item includes shipment (p&p) to anywhere in the world! Stock last (we immediately remove the 'buy now' button if we sell an item). Return to collector's items for sale.